Do you love eating amazing food? 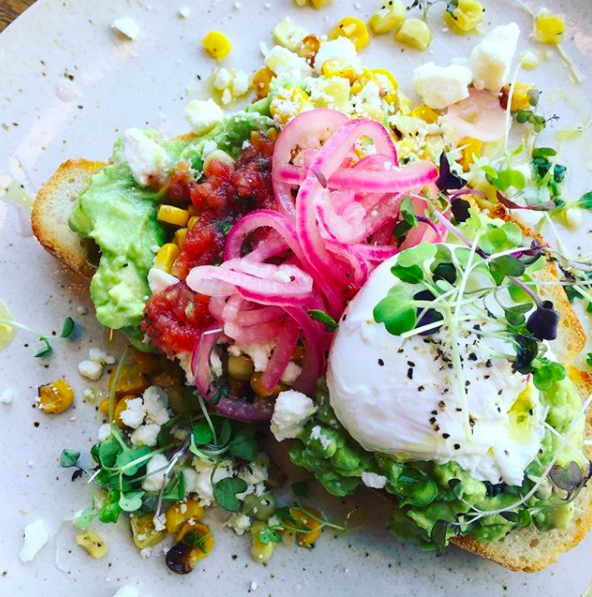 Are you constantly on the lookout for the most delicious new restaurants around? Us too. So we asked Yelp for the top new restaurant that opened this past year in every single state — which they measured using an algorithm that takes into account the number of reviews and star ratings for every new restaurant on the site. 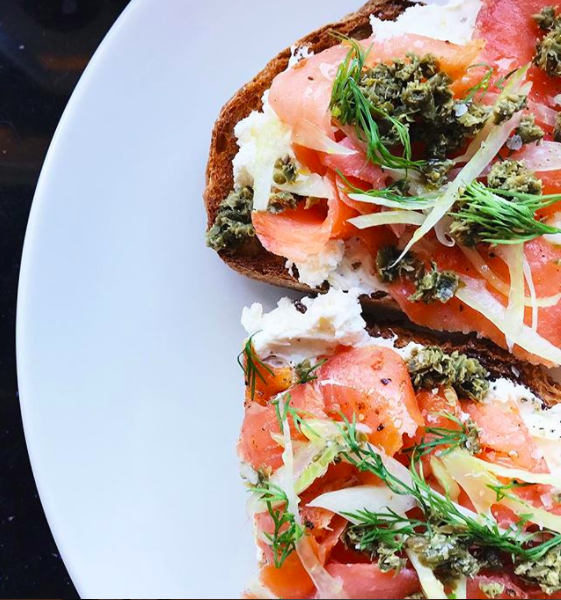 So here are the 51 best new places in the country to chow down in 2018 — straight from Yelp users who love food and dining out as much as you do. "Best pizza in the county!!! All of the ingredients were extra fresh and the sauce was homemade. Great service and all around a great experience; will be back for sure." 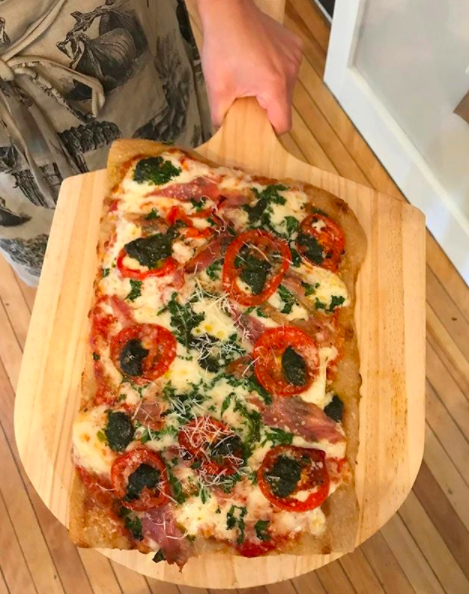 —Yelper Heather W.
"Great pizza, fresh ingredients, and really enjoyed the flavor from the wood-fired brick oven. Friendly staff! Finally found a great pizza place to enjoy. We'll be back." —Yelper Chad D.
"One the best, if not the best place to eat in Anchorage! As soon as you take a bite of anything from the menu you'll be hooked. Everything is local (farm to table) and homemade from scratch." —Yelper Jeanee V.
"I cannot recommend this hidden gem enough! 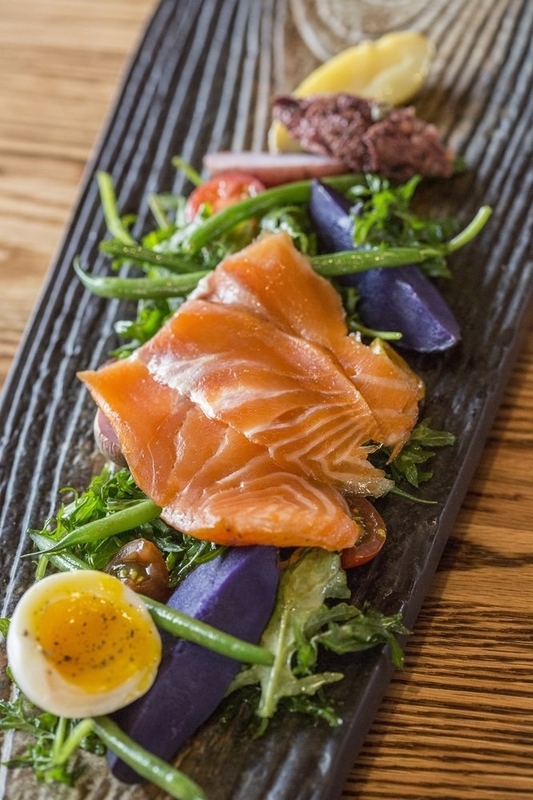 Farm-to-table approach dining with an Alaskan twist. I've enjoyed breakfast, lunch, and dinner there and never been disappointed." —Yelper Lee H.
"A pearl in the desert is this place! The food is out of this world!! Light, flaky empanadas are to die for!! Well worth going out of your way for." 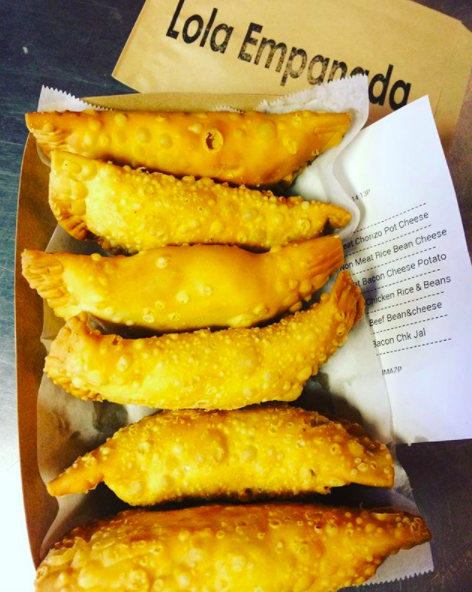 —Yelper David F.
"The outside of these empanadas are so flaky and crispy. Lots of meat on the inside; flavors were on point. Great service, friendly, fast, clean. Will definitely come back." —Yelper Tina N.
"This place has some of the best bagels I've had at any bagel shop. This place is a must-stop when you're in town." —Yelper Kris B. "Yea! Finally a bagel that is almost as good as a NY bagel! The crunchy outside and the soft inside are what make them delicious. We have been back three times already because they are that good." —Yelper Sarah C.
"I love this place. I'm almost hesitant to mention it because it's getting more and more crowded. The food is amazing; the owners go above and beyond." 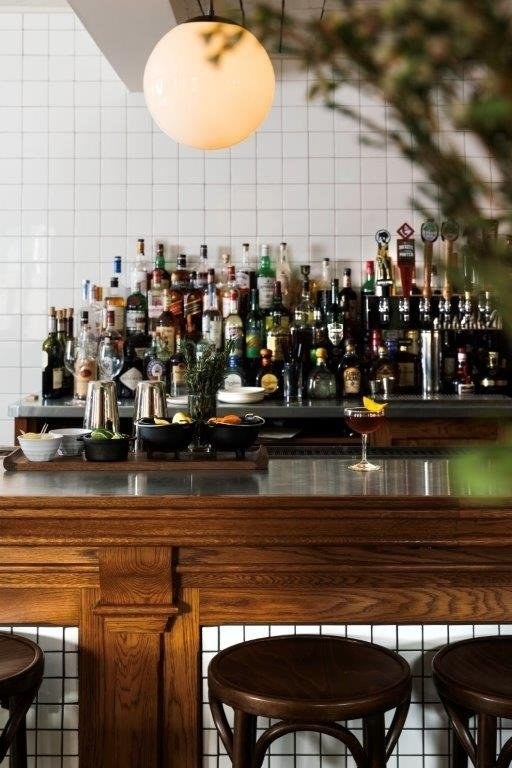 —Yelper Jenny G.
"Definitely one of the best eateries in downtown LA. The menu is bold, purposeful, and excites the palate. Delicious vegetarian & vegan options and amazing sandwiches for my "cheat days" keep me coming back for more." —Yelper Hassan D.
"Turtle Boat has quickly become my favorite Denver restaurant. It is a stand-out gem, even in comparison to some of the best poke stands in Hawaii and Japan. It is the perfect lunch place: quick, affordable, healthy, and consistently high-quality." 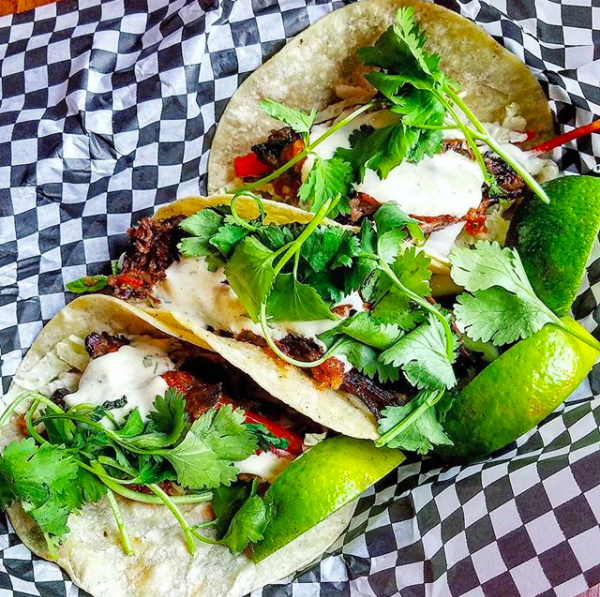 —Yelper Graciela M.
"This place is at the top of my Denver restaurants list. Every single time the fish and other ingredients are super fresh, and every side is fantastic. I've never been disappointed and can't recommend it enough!" —Yelper Sarah O. "Couldn't wait to try Crazy Greek when I stopped to see my family in town. We ordered the crazy gyro, Greek salad, moussaka, and chicken lemon soup. Everything was fresh, well seasoned, and prepared quickly. Can't wait to come again!" 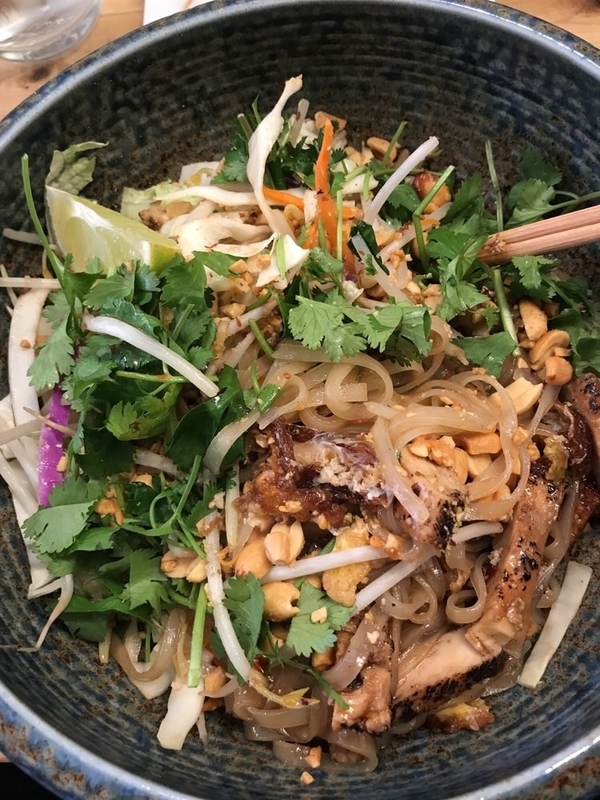 —Yelper Jessica M.
"Great place for takeout for something different. The gyros are incredible. Love the falafels for a vegetarian treat. Will return offen." —Yelper Robert S.
"Hands down one of the best falafels I've ever had! And with a price tag of only $3, there's no reason to ever go anywhere else. Also ordered za'atar fries as a side, AND THEY ARE A MUST." —Yelper Hera A. "Really good falafel sandwich, and very cheap (less than $5). Also you can feel good about eating here since each meal helps feed refugees." —Yelper Cora M.
"This place is one of my favorite restaurants. The food is so fresh and authentic. I look forward to a chicken shawarma for days. The tabbouleh salad is unbelievable. The falafel is a dream, not at all heavy, no greasy flavor, just right." 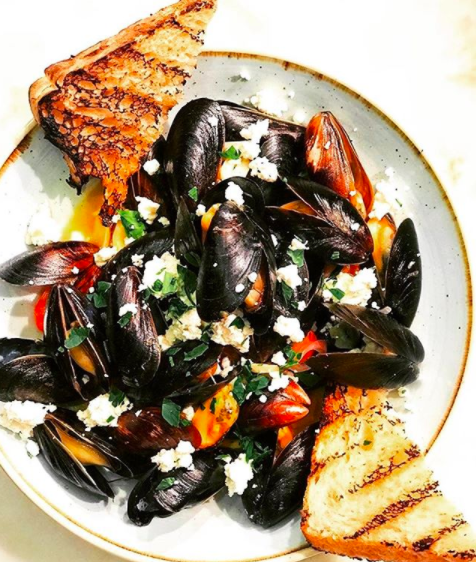 —Yelper Lucas R.
"If you love delicious seafood prepared flawlessly, this is the place for you. 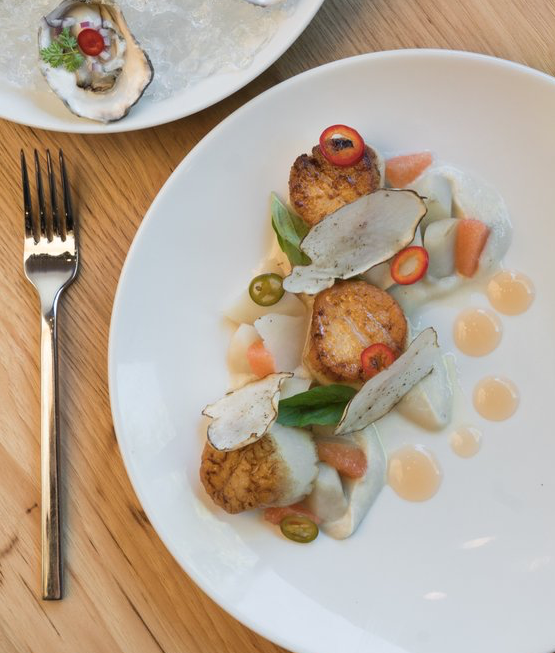 Everything is cooked to highlight the high quality, pulled fresh from the gulf." —Yelper Scott B. "Our favorite!! Best fresh fish and crab claws!!! The fish list is changing daily. The Key lime pie is the best there is." —Yelper George C.
"Service is outstanding and the staff are friendly and highly attentive to your needs. Yes, the wait can be a bit long depending what time of day you go, but every minute of the wait is worth it. You'll never be able to go back to any other tonkatsu again." —Yelper Jon H.
"Hands down best katsu I have ever had in my life! All the hype Tamafuji has been getting is REAL; this place is bomb!! It's just as good or maybe even better than the katsu we had in Japan!" —Yelper Kelcie N.
"This place is my all-time favorite! Great prices, and so fresh and delicious! I will be back, and definitely recommend this place to any sushi lover!!!" —Yelper Katelynn H.
"Amazing...amazing...amazing! Great people, service, prices, portions, quality, decor, and most of all, food." 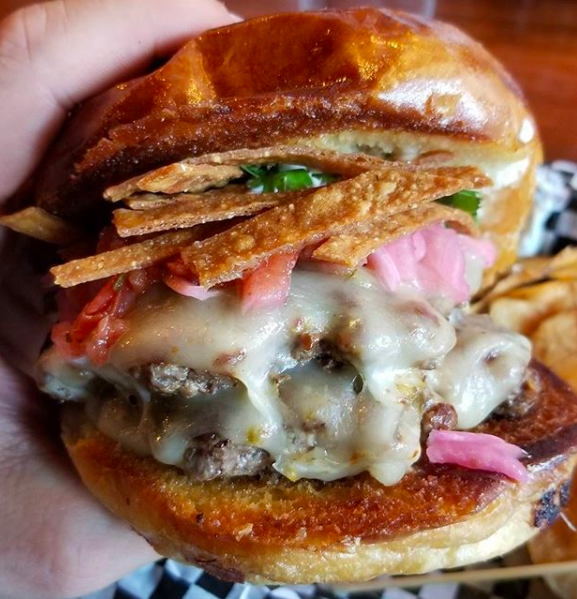 —Yelper Kristen C.
"One of the best burgers I have ever had in my life! The atmosphere is truly cozy and the service is amazing and prompt! Great choice of music as well. 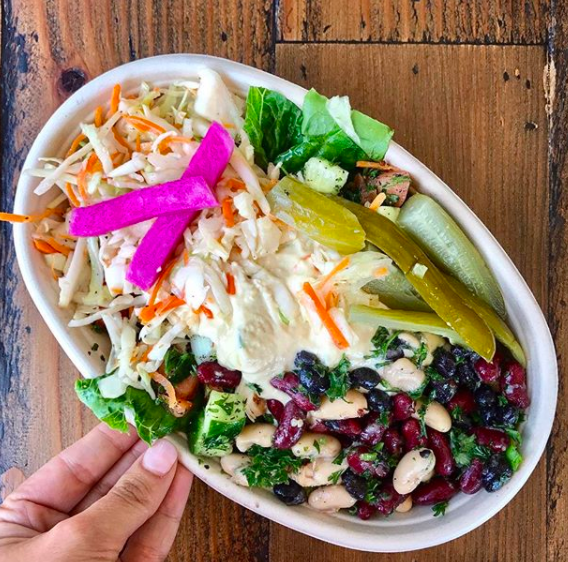 I'm glad they popped up out of nowhere in my neighborhood :)" —Yelper Ricardo H.
"CoreLife Eatery, you're going to be seeing a lot of me! I've eaten here twice now, and if I could, I would go every other day. 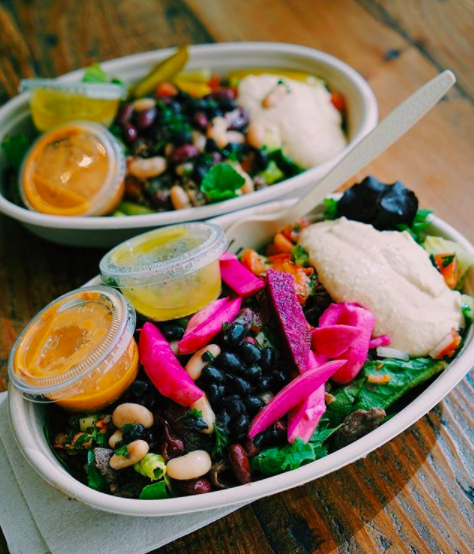 Think salad bowls, grain bowls, and broth bowls all made of the freshest ingredients and artfully crafted for flavorful and truly enjoyable healthy meals. Seriously, this place has everything, from noodle soups to falafel to tuna poke — there's so much to chose from." —Yelper Lauren M.
"This may be my new favorite place in all of Des Moines. The menu is a variety of nice, fresh, healthy options. Not only is the food colorful and beautiful — its delicious. The space itself is just beautiful. I cannot wait to come by again to try some other things on the menu and the cocktails. Highly recommend this place." —Yelper Jewel P.
"An amazing must-try restaurant for those who love authentic Chinese food. I've been to most of them in town and this is a winner." —Yelper Aaron S.
"Everything was perfect. Low prices and great service to top off incredible food. Planning on working my way though their menu." 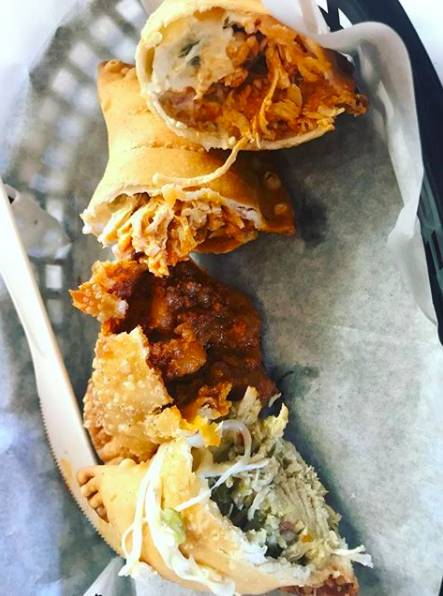 —Yelper David V.
"This place may look like a hole in the wall, and yes, it's humble inside, but the food is absolutely amazing, and for a very reasonable price. I hadn't read all of the rave reviews below before eating there, but now I can see why it's gotten such great praise." —Yelper Adam B. "What an amazing, authentic experience! Everything was delicious. Portions were large and the spice level was perfect. The service was superb and it is apparent that these guys want you to have a wonderful time! Literally couldn't recommend this place more!!!" 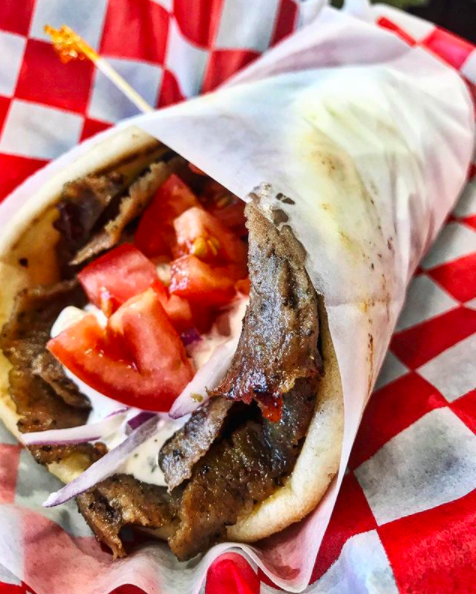 —Yelper Nicole W.
"Hands down: best gyros ever! Their salads also looked wonderful! Service was excellent and we felt welcomed from the moment we hit the door!" —Yelper Laura S.
"This place is a hidden gem. Nice menu, and all of the ingredients are super fresh. Very friendly staff as well. The portion sizes are enough to feed two and each item on the menu is reasonably priced." 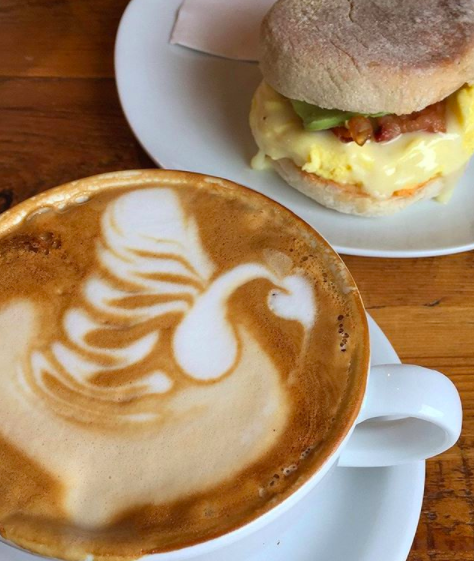 —Yelper Cajun K.
"Coffee ME Up is the type of neighborhood place everyone should aspire to have and is it is certainly one we will be adopting as our own breakfast and lunch spot whenever we are staying in Portland." 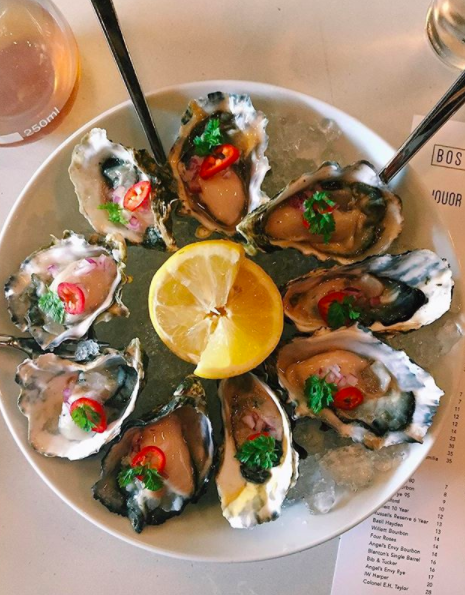 —Yelper Lindsay D.
I just moved to Portland and can't get enough of this place! The staff are friendly, the shop itself is cozy, and the coffee is some of the best I've ever had! They also have an amazing selection of pastries, breakfast sandwiches and lunch options. Highly recommend. 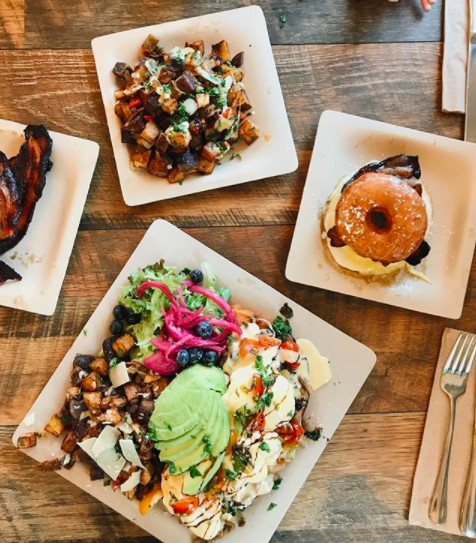 —Yelper Morgan P.
"Since the first time this heavenly place entered my life (which was a couple weeks ago), I've been a loyal costumer and have been back at least once a week. I grew up eating mama's authentic Vietnamese food, and this place has been a taste of home. You literally can taste the love and see the pride that goes into each dish." —Yelper Nina N.
"The answer to the question is YES! Yes, the food is delicious. Yes, the food is fresh and they have a creative menu. Yes, I will be going back. I think I just found my favorite lunch spot in Dedham. 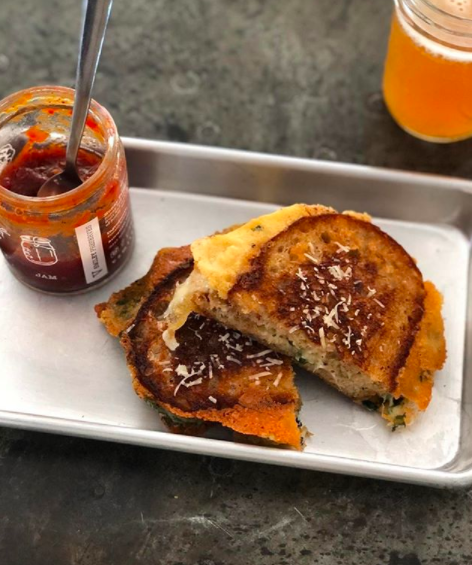 You're going to love this spot" —Yelper Brad M.
"New food-truck-style restaurant with great vibes! Portions are generous and food is amazing! Definitely coming back here whoever I'm in town!." 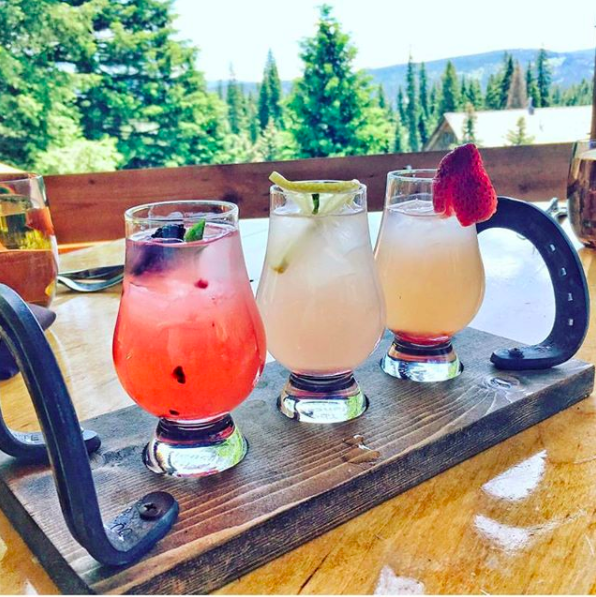 —Yelper Justin C.
"To be blown away by this lil' surprise of a gem in the middle of the UP is an understatement — I cannot wait to go back and enjoy more on their menu. Only regret is that my stomach couldn't try more! The service, food, and decor are all excellent; hopefully everyone can experience this place." 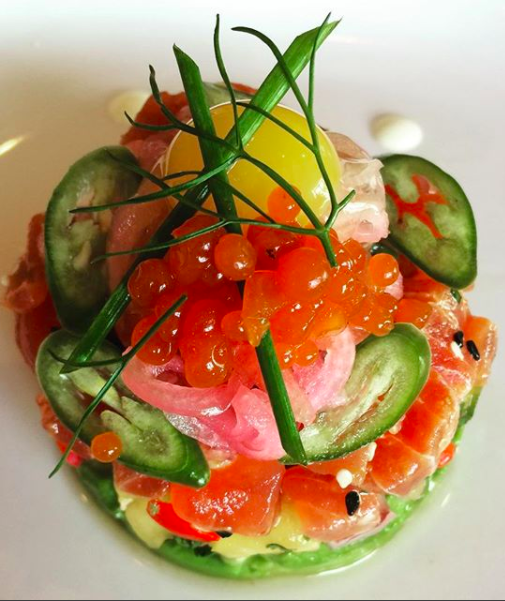 —Yelper Lyndi P.
"Incredibly cute restaurant with amazing staff and very delicious food." 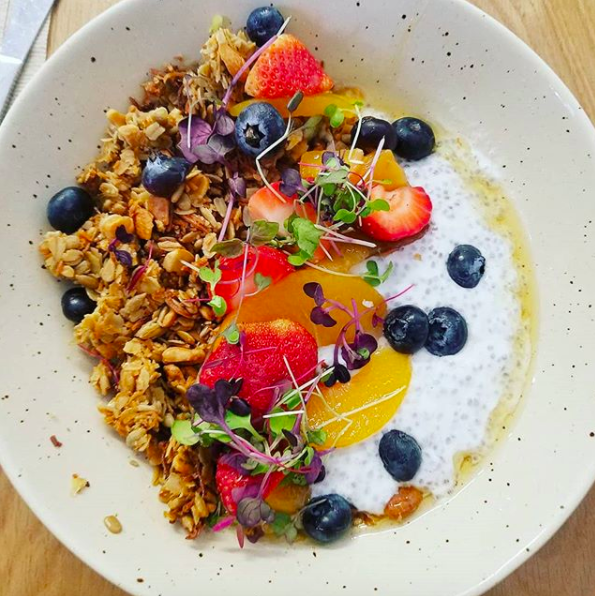 —Yelper Nicole V.
"SO happy to see a place like this open up in this neighborhood." —Yelper Angela J. "This place is SOLID. The food was amazing. I generally don't love pub food, but everything I tasted was so high-quality. We will be back. I've been telling everyone I know about the place." —Yelper Jesse G.
"Best sushi and tapanyaki in MS!! Very clean and fresh!! It's nice quality food and service." —Yelper Mario Y. "Great atmosphere and great friendly staff! Sushi was also amazing. I had a golden beach roll and and a daydream roll and they were both perfect! I would highly recommend this place for family dinner or even a romantic dinner! I will be back!" 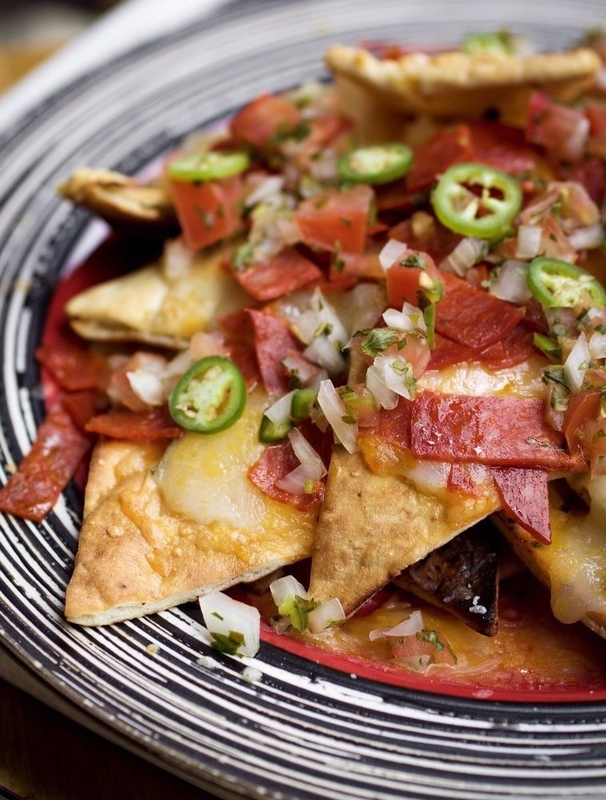 —Yelper Kevin C.
"Had the Blackout sandwich (it's huge) and the Basted Nachos (also huge)! This place hits the spot! They have a unique flair on BBQ. The meat was so tender and their BBQ sauce is sweet! It was absolutely fantastic! Can't wait to come back!" —Yelper Jennifer V.
"This is some of the best BBQ I've ever had, and that's saying something being from Texas. The burnt ends and pulled pork were perfect. The potato salad is incredibly fresh and homemade also. You can't go wrong with anything on the menu!" 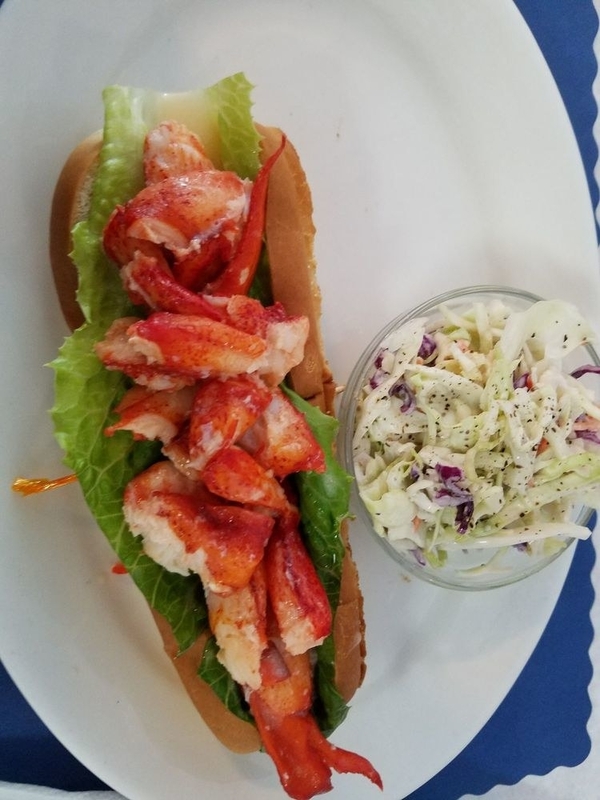 —Yelper Allison C.
"Absolutely wonderful! Best of the best! Such a hidden gem. Three years in Big Sky and I had never been here. We will definitely be back. Awesome Montana atmosphere, perfect dishes, perfect service." —Yelper Jessica B. "We had a great experience at Horn & Cantle! The menu was very rustic and Montana, and the atmosphere was western and romantic. I enjoyed the fondue, the steak tartare and the prosciutto-wrapped pork chop. All cooked to perfection!" —Yelper Summer J. "Wow, this is by far my new favorite brunch spot in Omaha. The food was absolutely to die for. The atmosphere is super cute and homey. Also, the service is outstanding! I'll definitely be back." 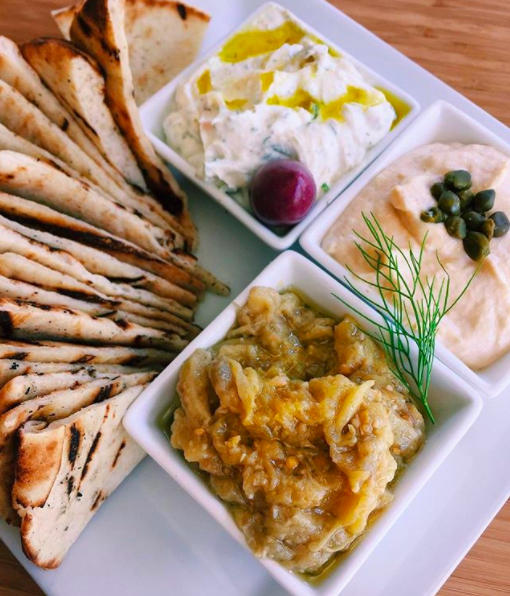 —Yelper Samar E.
"Amazing, inventive food! The eggs benny was the best I've ever had, as well as the French toast! The atmosphere was clean, minimal, yet fun. Super-cool little spot. I can't recommend it enough!" —Yelper Caitlin C.
"You know when you love a place so much that you can't wait to tell everyone about it? Hummus is that place for me! Healthy meets delicious, served fast, and at a reasonable price." —Yelper Lauren C.
"Wow! Just wow! This place is the Mediterranean version of Chipotle except with fresher ingredients! The prices are incredible for the amount of toppings you can get." —Yelper Tiffany Y. "I just ate the MOST DELICIOUS Thai food ever!!!! Ohhhh my goodness I'm in love with this restaurant !!! I 100% recommend this place!!! Super-friendly service and authentic food made to order. YUM!" —Yelper Sara L.
"This place exceeded my expectations. Everything I got was delicious! The staff was attentive. I recommend the tom yum soup and the Thai basil." —Yelper Brian R.
"A great, quick-service Latin restaurant with homemade food you'll crave every day. 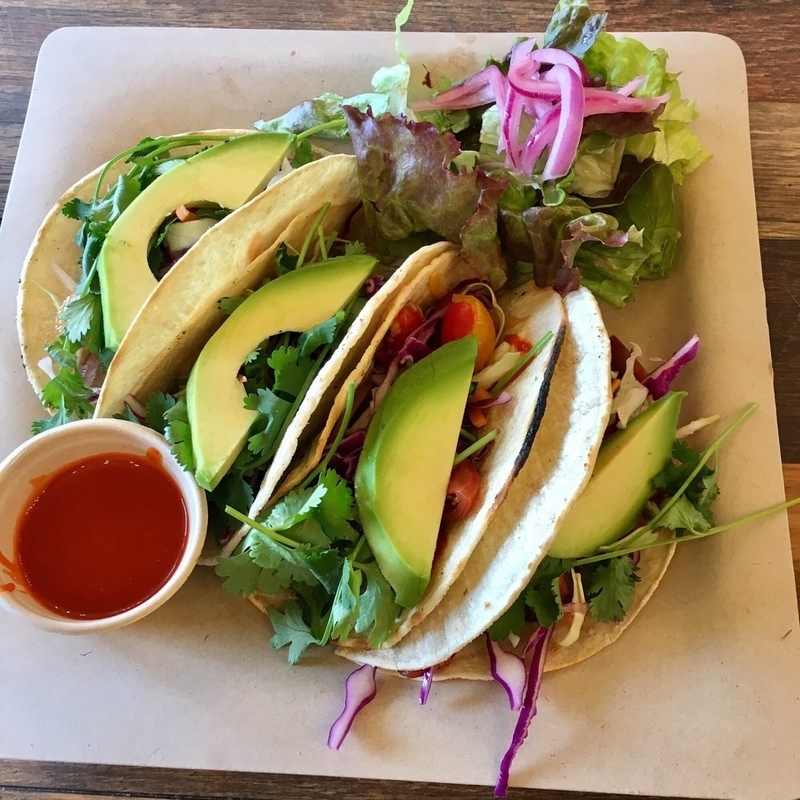 We have tried their soups, tacos, burritos, empanadas, salads, rice bowls, and various sides — and would recommend everything." 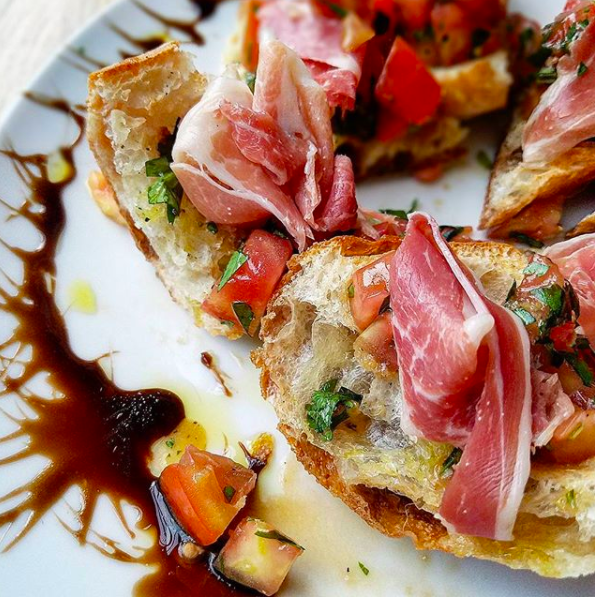 —Yelper Gina M.
"Lovely French- and Italian-inspired creations will keep you enticed at this charming, cozy, and newly transformed restaurant in Los Ranchos." —Yelper Bella B. "Wow! The ambiance and hospitality was top notch, plus the food was phenomenal. Local, fresh ingredients. I would recommend this hidden gem to anyone and everyone I know." 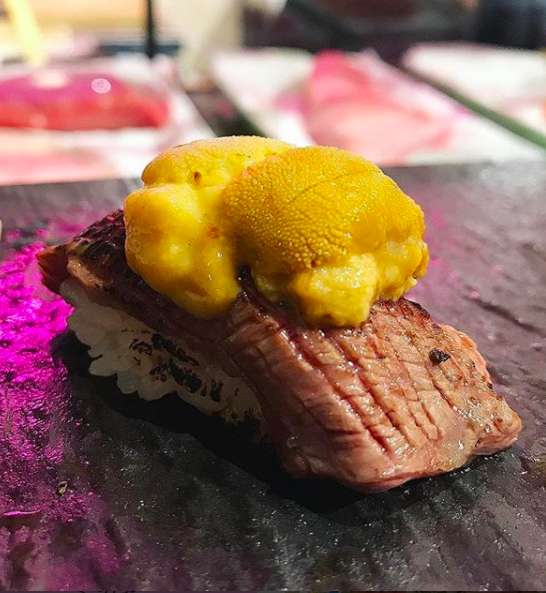 —Yelper Michael M.
"This is THE BEST OMAKASE in NYC for the price where you'll actually be able to get a seat. The food is absolutely phenomenal, the drinks are phenomenal (like actually amazing), and the atmosphere is super chill. 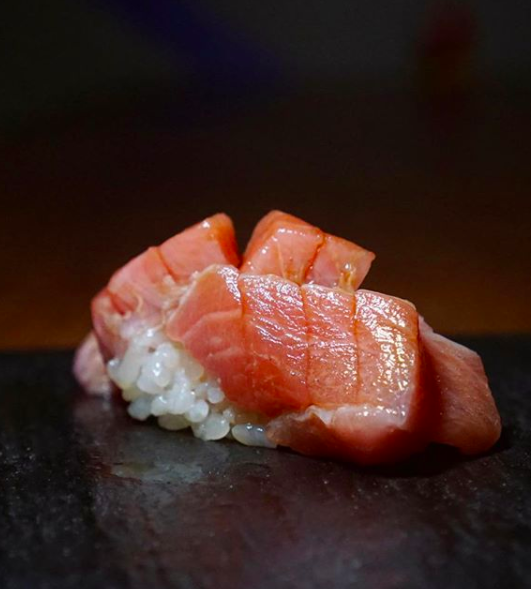 The price is super cheap too for an omakase of this quality." —Yelper Jillian B. "I never had sushi like this before. Staff was great and our sushi chef was awesome. This was one of the best sushi experiences I've ever had. Everything was very flavorful and done with intention; they really take the time to create an amazing selection." —Yelper Victor S.
"Absolutely amazing. First time in Wilmington, came here for Sunday brunch, and it was SO DELICIOUS!! Ordered the biscuits and gravy, huevos rancheros, and a side of chorizo. Not a single negative thing to say here; all of it was incredible, especially the huevos rancheros. Will be dreaming of this dish and this place till the next time!" —Yelper Rachael I. "Finally had dinner at Savorez and I'm angry with myself for not going sooner! Get there early, as it is a small spot and fills up quickly. The food is absolutely outstanding. Your tastebuds and belly will thank you!!!" —Yelper Byon S.
"Awesome food, awesome prices, awesome restaurant. Awesome value. We ordered the ribs, ramen, and pho. All the ingredients were fresh and cooked to perfection. We will definitely be back." 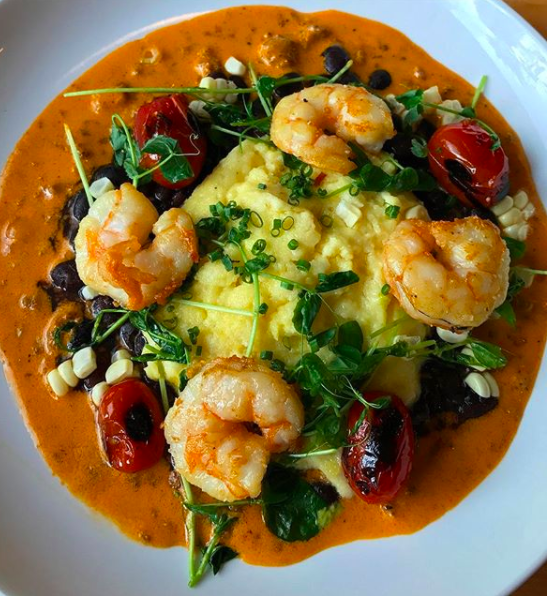 —Yelper Peter M.
"This restaurant makes you forget you're in North Dakota — it's actually quality food, reasonably priced, and has awesome service. The atmosphere here is very trendy, yet still friendly. Loved it." 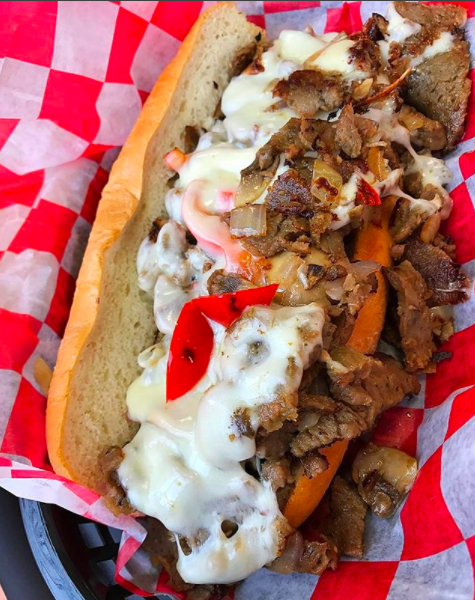 —Yelper Madeleine D.
"We got a gyro and a chicken shawarma. They are very generous on their portions! The meats are tender, juicy, and have so much flavor! All the added veggies and sauces are what push these over the edge. They feel so fresh and don't make you feel heavy or weighed down after eating it." —Yelper Letoya M.
"Omg, the sliders are ridiculously addictive. I can't stop thinking about them... If you're able to, grab an order of the delicious wings before they sell out. Great customer service. A once-a-week kind of place. —Yelper Kelly G.
"Wonderful, fresh, and creative. Something for everyone. This was our second visit and once again I wanted one of everything. Tacos are amazing!!!" —Yelper Robert C.
"I've traveled the world and lived in NY, Chicago, London, and San Francisco and experienced amazing cuisine, Michelin stars. However, this is by FAR one of my very favorite meals of all time! Bravo — from app to desert — can't wait to come back." —Yelper Rhonda M.
"Bravo, Bos Taurus! You've exceeded my expectations in every way, which isn't an easy feat. This is the restaurant that Bend has needed. Try the Wagyu, it's mind-blowing." —Yelper Brian O. "I have eaten here at least five times now, and I can't stop going back. If you like Indian food with a Caribbean twist, this is the place for you." 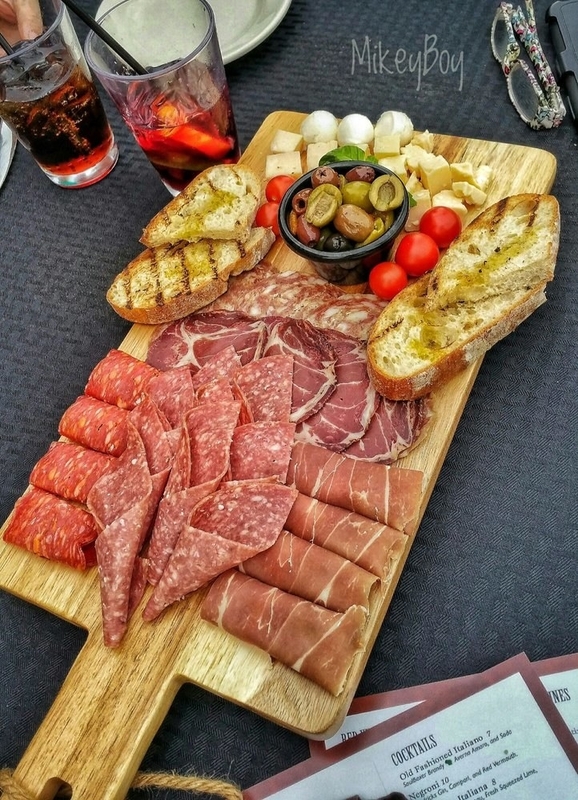 —Yelper Oriana W.
"The food was amazing. I felt I was back in Trinidad. We even met the chef and owner to let them know how wonderful the food tasted." 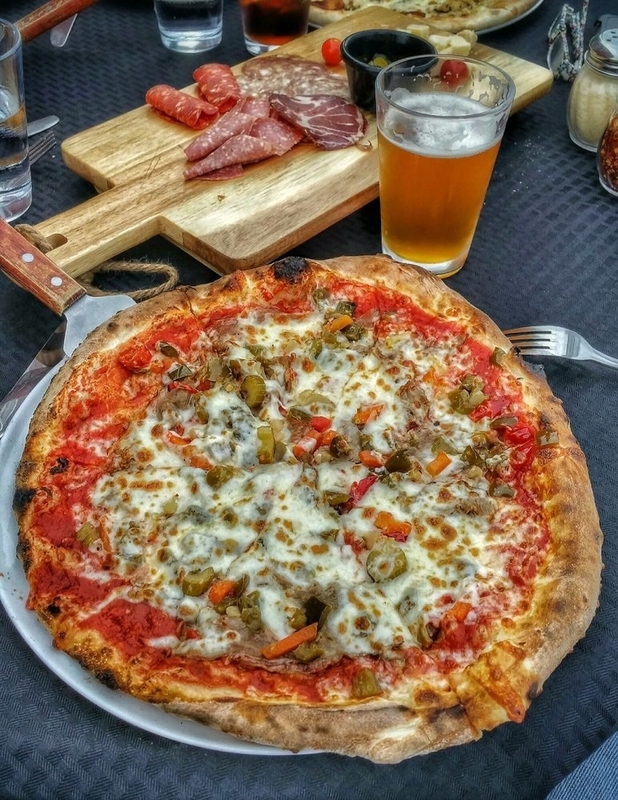 —Yelper Vinod K.
"The District may have the best pizza in Providence. The crust had a nice bite to it with an even better chewy-like texture. I will most certainly be back. But I do not think I could order anything besides that pizza because I'm still thinking about it." —Yelper Jackie O. "Definitely a Providence hot spot! From the chic interior to the delicious menu items, you will definitely become a regular customer. Their pizza is definitely one of the best in RI, and it's all in the sauce, which is clearly homemade." 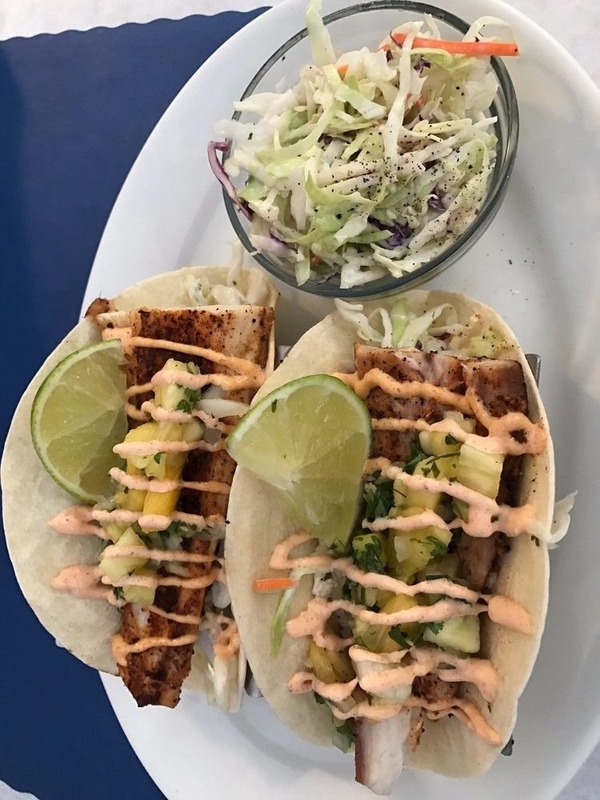 —Yelper Mike P.
"I was in Charleston visiting from Atlanta last weekend and was lucky enough to have both lunch and dinner here. This is the most authentic Greek food I've ever had outside of yiayia's kitchen!" 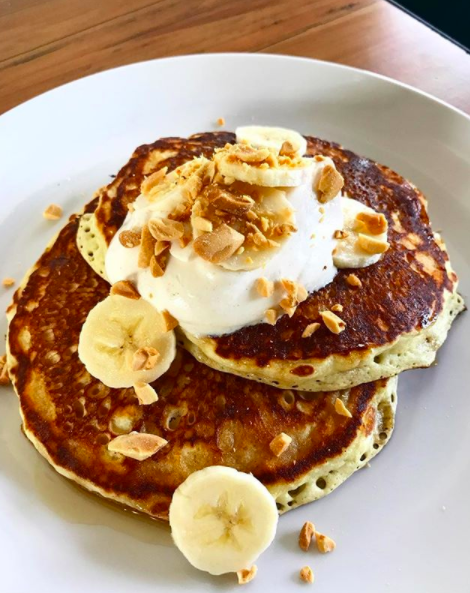 —Yelper Alexia N.
"Wow! Stella's never fails to deliver. The staff is friendly, the space is gorgeous, the menu accommodates all eating styles, and the food is AMAZING (and the portions are extremely generous)." —Yelper Aynne H.
"I'm a bit of a barbecue snob and was overjoyed to find this place. Normally I don't go anywhere with fewer than 50 Yelp reviews, but was well rewarded with my leap of faith. Had the pulled pork sandwich. Delicious! Excellent quality and large portions to enjoy and take home." —Yelper Roch P.
"Tried this place while visiting SD. The baby back ribs were possibly the best we have ever had. Fell off the bone and amazing flavor." 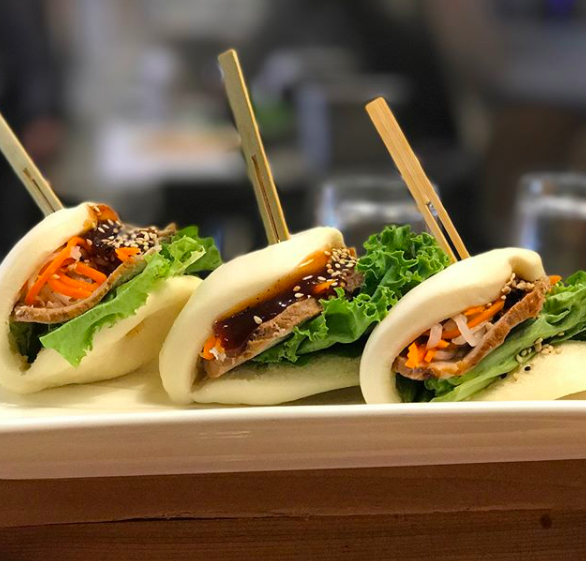 —Yelper Gary C.
"Fabulous, fresh, authentic Asian food. Wow — reminiscent of Taipei street food. Love the variety of little items in each bowl (e.g. dumplings, marinated noodles)." —Yelper Biz M.
"Great little spot for a quick and tasty lunch. It's up there on the list compared to a lot of the Korean places I've been to on the West Coast. I've had the spicy bulgogi and chicken katsu cups so far, and they were both excellent." —Yelper Matt M.
"From the moment you walk in the door, you can smell that the food from this place is going to be good! The service was impeccable! I'll be back to try more soon." —Yelper Andrea B. "Chopfuku has fast become one of my favorite sushi spots in the Salt Lake Valley. It not only has extremely fresh fish, but it is very progressive with the roll ideas. Really hope that more people find this hidden gem of a sushi restaurant." —Yelper Cory S.
"This place is awesome. My husband and I have made this our go-to for sushi! The service is great and the food is amazing. Freshness is superb! I highly recommend it to everyone!!!!" —Yelper Bel M.
"Happened upon this place on our drive home from Manchester. Thank God we did! Everything there was local. We had the cheeseburger with this amazing chipotle sauce. We also had the baked fries, which were cooked perfectly. All the beer was local and delicious." —Yelper Nikki W.
What a find! Great and creative menu with some very healthy choices (and a few not so). Well worth a stop!! —Yelper Darrin N.
"My mind is blown. Perfect service, amazing food, romantic ambiance. This place should be packed! It's great for a special occasion, but affordable enough for any old Thursday." —Yelper Julia S.
"I was so surprised to find this hidden gem in the heart of Manassas Park. Get ready for all the little touches that make up the difference between a standard meal and fine dining." —Yelper Anne H.
"This is my favorite poke spot in town. The portions and the freshness can't be beat. They have tons of different toppings to choose from. Every time I've been, it's been a delight, and the bowl is packed with more than I can eat in one sitting." —Yelper Ashley K.
"FOB has become my go-to poke spot in Seattle! They have super-fresh fish and super-reasonable prices — plus, they have a ton of topping selections and are really generous with the portions they dole out. Their large can easily fill me up for two meals!" —Yelper Jennifer T.
"Two words: Eat here. We've had Mediterranean food all over the world, and this is excellent." 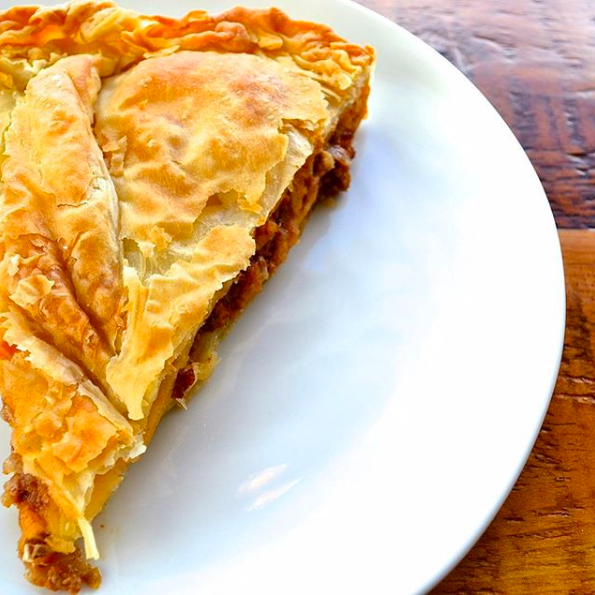 —Yelper Heather K.
"This is one hell of a pizza joint. Between the classy atmosphere and the great service, it's a solid spot." —Yelper Chadrick J. "Wonderful experience, wonderful environment, wonderful pasta and pizza. I'm so glad a place as good as Santinos has opened up so near to my home." —Yelper Dan B. "Whether you live in Jackson or are here to visit, don't miss this gem!" 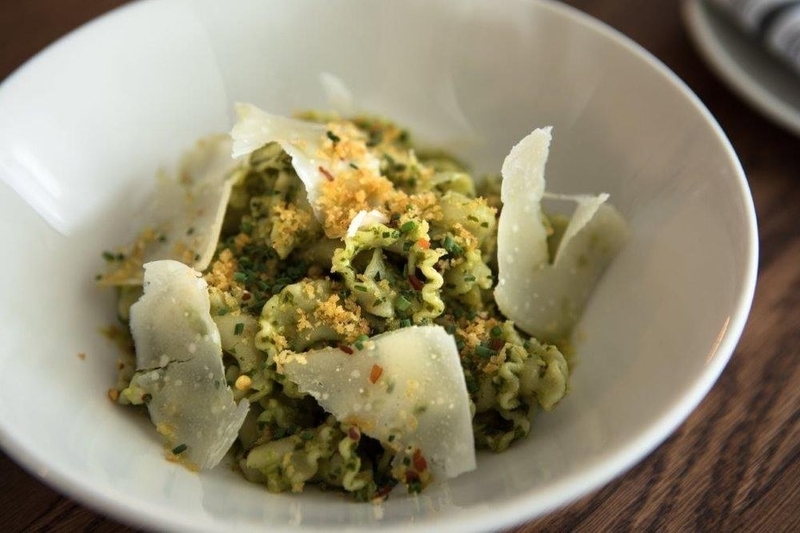 —Yelper Katie N.
"Food was on point — we were blown away by the house-made agnolotti and grilled mushrooms. Most of the food was served "family style," which was fun and allowed us to taste more." —Yelper Mike P.